On 24 August 2015 UNPO submitted an Alternative Report to the United Nations Committee on Economic, Social and Cultural Rights (CESCR) for the consideration of the fifth report of the Italian Republic during it 56th Session. The report highlights how Italy’s non-compliance with the right to self-determination and some aspects of the right to economic development as well as cultural and language rights, is hindering the exercise of the economic, social and cultural rights of the people of Trieste and surroundings. The Committee will examine the situation of Italy later this month [21 Sep 2015 - 09 Oct 2015]. 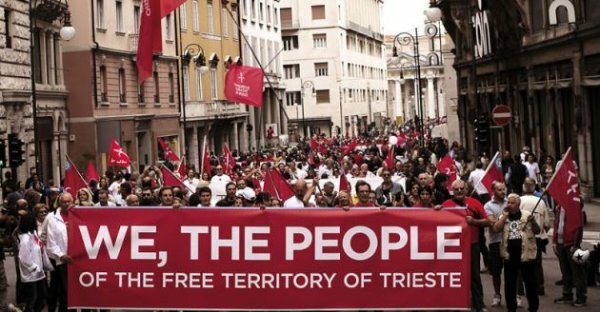 The report highlights how the Italian government has subverted the right of self-determination of the citizens of the Free Territory of Trieste, and by so doing has undermined their free pursuit of an economic, social and cultural development. For example, the Free Port of Trieste was constituted and is regulated by Annex VIII of the 1947 Treaty of Peace with Italy, which is still in force. Despite this ruling, there has not been, to date, any law enacted by the Italian state regarding the implementation or execution of the key provisions of the Peace Treaty. In turn, this creates a scenario in which the Triestines have been denied their right to self-determination. An example of this is the ‘Portocittà’, an unsuccessful project through which the public authorities attempted to turn the northern part of the Free Port into a residential area without the consent of the Triestines. Further to this, the report examines how the lack of implementation of the provisions of the Peace Treaty regulating the functioning of the free port. In fact, the Free Port has been run by the Port Authority as every other Italian port, contravening the wording of the Peace Treaty and ignoring the special status and consequent value of the Free Port within the Free Territory. Finally, the report examines how linguistic and cultural minorities within Italy, such as the Slovene-speaking minority of Friuli-Venezia-Giulia, the region in which Trieste is located, have suffered less protection as a result of budget cuts. In particular, media coverage in minority languages has faced delays or appeares to be scarce.